Q) What is the Display Size and Resolution on the Oppo A3s? Q) Does Oppo A3s has gorilla glass? A) No, It comes with 2.5D Curved Glass. Q) Does Oppo A3s has Metal body? Q) What is a Processor on Oppo A3s? Q) How much is RAM and storage on Oppo A3s? Q) Does Oppo A3s has Dedicated MicroSD slot? Q) Rear Camera on Oppo A3s? Q) Oppo A3s how much MP is the front camera? Q) What are sensors on Oppo A3s? Q) Does Oppo A3s come with Fingerprint Scanner? 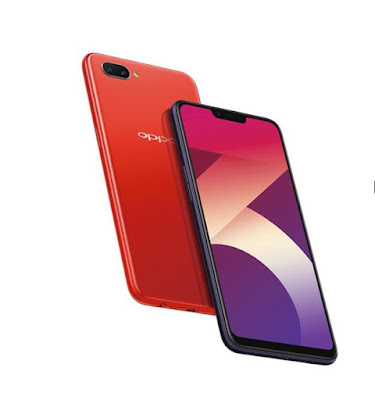 Q) Will Oppo A3s Smartphone get Android P Update? Q) Does the Oppo A3s support LTE and VoLTe? Will a Reliance Jio SIM work on the phone? Q) How much is Battery on Oppo A3s? Q) Does Oppo A3s support fast charging? A) Yes, it supports USB On-The-Go. Q) Connectivity options on Oppo A3s? Q) Dimensions of Oppo A3s? Q) Weight of Oppo A3s? Q) In which color Oppo A3s will be available? Q) Oppo A3s Price in India? Q) Where to Buy Oppo A3s? A) The smartphone will go on sale from July 15 via Flipkart, Amazon, and Paytm, along with the offline stores.